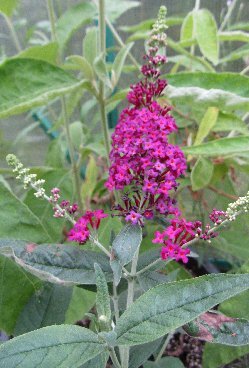 Welcome to the Buddleja Garden Website! 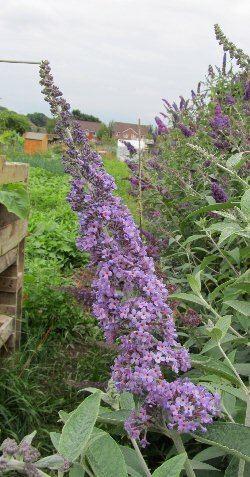 The Buddleja Garden is a website about Buddlejas with original content and aims to provide useful information for both gardeners and plantsmen. There are pages on species, hybrids and cultivars that I have grown particularly those that are hardy (or nearly hardy) in the UK. 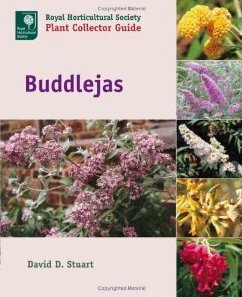 There are pages on how to look after your Buddleja and grow new ones from seed or cuttings. And some handy links to National Collections and other useful sites. 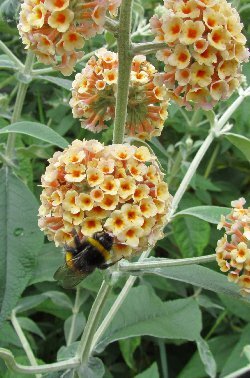 There is an ongoing comprehensive list of B. davidii cultivars and hybrids and a complete list of species Buddleja. I also keep a Buddleja Diary with new entries each month keeping track of Buddlejas through the year. There are pages on the latest hybrids called Lo and Behold and Flutterby, a work in progress as I have only just started growing some of them. Mostly they are small, non-invasive Buddlejas. Any suggestions or questions, then please e-mail me. You can leave comments and feedback on Facebook! 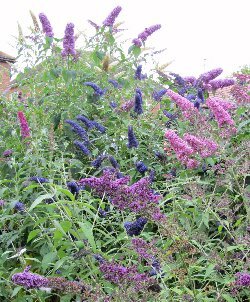 Bees and Butterflies love Buddlejas! The Buddleja Garden recommends one.com. 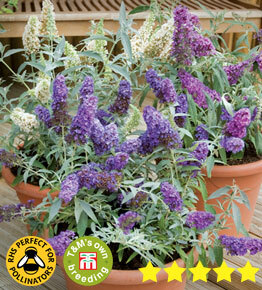 Buddleja Buzz from Thompson & Morgan! The Buddleja Buzz Series is available here. 2012 in The Buddleja Garden. a cross between B.davidii and B.globosa. From 'The Gardeners' Chronicle', 1920. 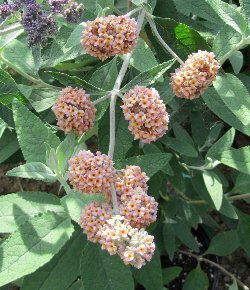 An essay about Buddleja Breeding. Some of the B.davidii cultivars I have personally grown, with images. A Comprehensive list of B.davidii cultivars, text only. Handy Hints on propagation, planting, pruning and feeding. A guide to pruning in spring. Advice on how to collect seed and grow your own unique plants. these are the ones I have experience of growing. All the species organised by location and type with Wikipedia links. 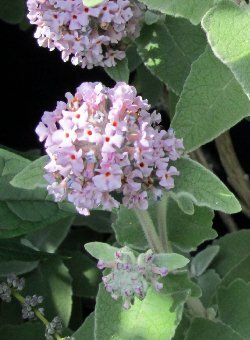 Details about the Buddleja crispa group of species and hybrids. A Description of Buddleja globosa and the related Buddleja araucana. A Description of a few interesting hybrids, crosses between various species. Details on these diminutive hybrids from the USA, sometimes known as 'Chips'. called Flutterby and Dreaming (Hinebud) Buddlejas. National Collections, Nurseries and Information. Frequently Asked Questions and a statement on cookies used on this site. 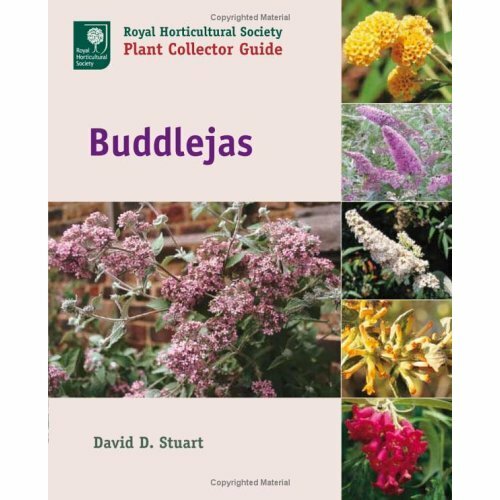 Royal Horticultural Society Plant Collector Guide - Buddlejas by David D. Stuart. A few errors but overall an excellent introduction to the genus. 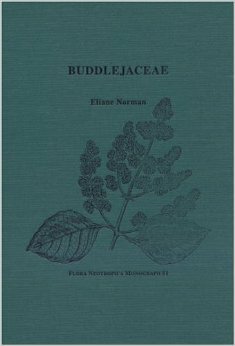 The monograph on the Buddlejas of North and South America. The butterfly animations are from http://www.sevenoaksart.co.uk. Click on one if you want to get rid of them. Selected, relevant links are through Affiliate Window.